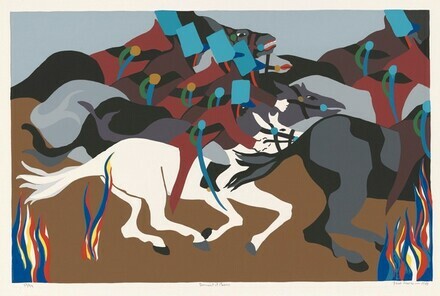 Nesbett, Peter T. Jacob Lawrence: The Complete Prints (1963-2000), A Catalogue Raisonné. Seattle, Washington, 2001: p. 75, no. L89-3. Hill, Carolyn, et.al. Harlem Renaissance. Oklahoma: Oklahoma City Museum of Art, 2008: no. 49.